Contract term of three (3) years beginning on July 15, 2016 through July 14, 2019. 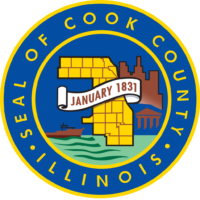 This category includes development of computer applications and related databases using approved Cook County technologies. Application development includes legacy mainframe-based enhancements along with the development or enhancement of reports and business intelligence visualizations. The scope of activities can range from initial development and deployment, through enhancements and/or interfaces, including ongoing support for applications. (1) Providing trained and qualified personnel capable of being cycled into Cook County environment to provide support services including but not limited to: project management, application development, desktop support, server administration, help desk support, system management, network support, network monitoring, network tool installation, network hardware and configuration, and network, server and personal computer installations and travel. (2) Firm must have the ability to provide or purchase network hardware, software, and maintenance coverage on behalf of County that is able to support current and future state of operations for all network related functions and support activities. (3) Firm may act as a medium with various network vendors and manufacturers for the sole purpose of showcasing new technology and providing a controlled environment and test lab to understand and evaluate new manufacturer’s equipment in a secure environment.